I always get a small shiver of anticipation when I’m at Gare du Nord. Until recently, I frequently changed metro lines at Gare du Nord – either when I was travelling to classes for looking at rooms. And even changing lines gave me that thrill. Because Gare du Nord is large and light and busy. Because I can hear a mix of languages as tourists with suitcases and backpacks negotiate their way around poker-faced parisiens. Because I can hear the four-note chime before the SNCF announcements – one of the first sounds I remember from my first trip to France in December 2006. Gare du Nord represents freedom and escape. I can travel to France’s northern regions on the SNCF. I can voyage to Belgium and the UK on the Eurostar. And there are trains from Gare du Nord to Charles de Gaulle airport, which means the entire globe is within reach. 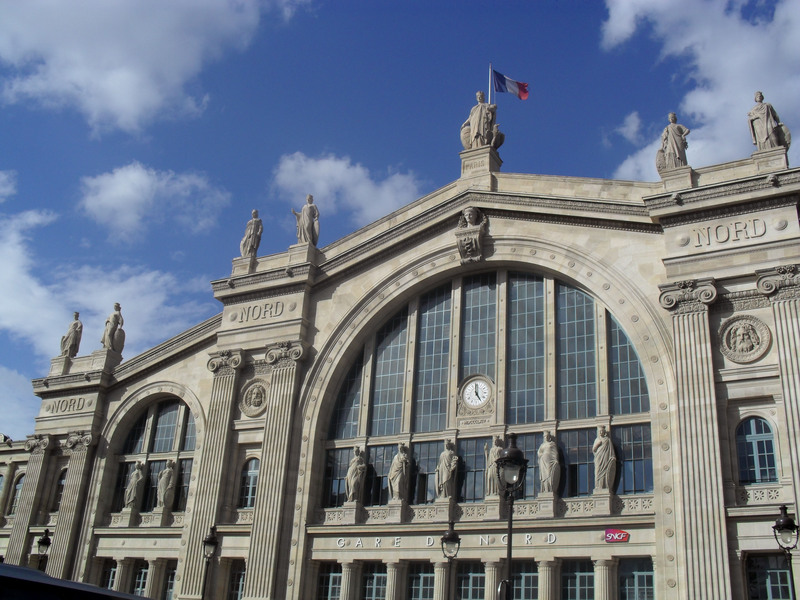 Whenever I’m at Gare du Nord I feel like I‘ve already left Paris – and even before I board the Eurostar, I feel like I’m no longer on French soil. Gare du Nord represents possibility. ← Don’t knock my Target undies!